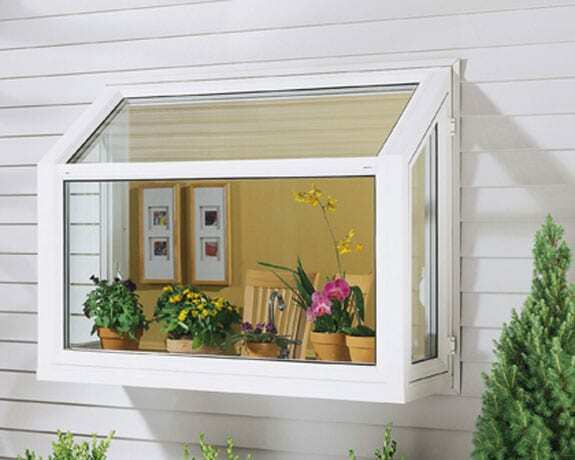 Replacement garden windows open any room up to the beautiful West Michigan outdoors. The wide expanse of glass allows any room to be filled with natural light and the beauty of the outdoor scenery. Most often used in a kitchen setting, these windows are a great architectural accent to any room, especially a bathroom or family area. When you consider replacing a garden window the quality of the construction is the most important factor. Our Alside vinyl garden windows are fully welded construction with tubular aluminum reinforcement at all stress points to insure no sagging or structural failure. We can install the replacement unit in the existing opening of an original window, or BlackBerry’s factory certified installers will create a new window opening including wall framing, structural header, drywall finish, and interior/exterior trim. At BlackBerry, we have over 30 years of installation experience. Garden windows have been one of our specialties that every customer loves for years to come!